Tonight I made my own dinner. 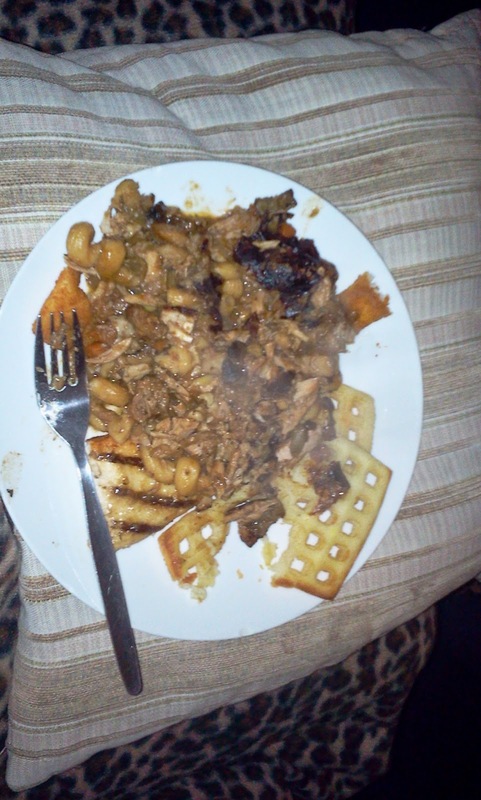 When I say "made my own dinner", of course what I mean to say is that I microwaved a lamb stew kindly provided to me by my partners grandfather, then cooked it in a pot, along with some pieces of chicken and some pasta, seasoned with an oxo cube, a lot of paprika, some mixed spices, and a goodly amount of chip spice. Alongside this one pot masterpiece I cooked 2 fishfingers, 2 waffles, and a reggae reggae chicken fillet. A natural combination of foods if ever I saw one. I feel like as though I'm Sonic the Hedgehog. Bang! And the vomit is gone!